Comedy Hypnotist Entertainment | Worcester, MA. Need help with Comedy Hypnosis Entertainment? I can help you, Call today ~ 877-933-8669. My name is Greg Steele. I am a comedy hypnotist and professional entertainer servicing Worcester, Massachusetts. My comedy hypnosis show serves Worcester County, Massachusetts. This comedy hypnosis stage show provides fun, clean entertainment for corporate events such as associations, training seminars, business meetings, service awards parties, company luncheons, annual meetings, gala events, conventions, holiday parties, retreats, employee dinners, conferences. It provides more laughs than a stand up comic. It’s also great for corporate hypnotist entertainment. You will hear laughter and applause. Your guests participate in my stage hypnosis show. It is memorable entertainment. My comedy hypnosis show is a fun interactive program. This type of corporate entertainment is a good alternative to a traditional comedian or motivational speaker. This comedy hypnosis show provides rave reviews from your staff, employees and guests. I have performed my comedy hypnosis show all across the Greater Worcester and nationwide. I have done shows for a number of Worcester corporations, North East Massachusetts institutions and associations. Give me, Comedy Hypnotist Greg Steele a call for the best in entertainment. The premier comedy hypnosis show available in the Worcester Area with G and PG ratings. Finding a corporate entertainer in Worcester that is safe, fun, and appropriate entertainment for your guests isn't easy. I can help provide the right entertainment for your event in Worcester, MA. Corporate Hypnotist Greg Steele can help create memories of your company's corporate event. I provide peace of mind to corporate event planners and their clients. They appreciate knowing their guests are participating in a clean, professional "corporate friendly" after dinner program. Comedy hypnotism shows are great for corporate entertainment and Worcester business events. I have been a corporate entertainer for over 30 years. My comedy hypnosis show is perfect entertainment for holiday parties, End-of-Year-Celebrations, awards dinners, yearly business meetings, sales meetings, management training for businesses. My comedy hypnotist show can bring new life to small business meetings and to a large company national event including associations and conventions . It is also a popular program for employee banquets and award dinners. I can do corporate holiday parties and year end celebrations. My show is good for business meetings, training seminars and more. Make your event a huge success! Comedy hypnosis shows are great for keynote speeches in the Worcester, Massachusetts Area. I am a professional keynote speaker entertainer for corporations, business seminars, conventions, regional meetings and other company training events. My motivational speaking program is great for giving your employees and staff the knowledge associated with setting goals, focusing on being more productive and making more money. Corporate Hypnotist Greg Steele motivates and gives them the tools and the skills needed to keep them motivated and successful long after the program is over. Greg's feature program Focusing Yourself 2B Fantastic teaches his method in the art of focusing, productivity and goal setting. Each educational program is unique, entertaining, informative and fun. Full day or Half -day seminars are available with a message or without. This program is so funny that I can grab their attention and keep them entertained at any business or corporate event. I can perform a keynote that includes a comedy hypnosis show that is custom to your theme and message. Comedy hypnosis shows are great activities for Worcester colleges and universities in Massachusetts that need great campus entertainment. I am a professional stage hypnotist and college entertainer for universities and college activities. My comedy hypnotist show is hilarious entertainment for fraternities and sororities. 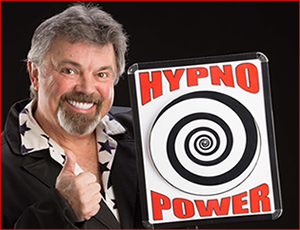 Student life and other college campus activities near Worcester are great settings for my hypnosis stage shows. In fact, my favorite shows are for Worcester and North East Massachusetts, NEO colleges and students. This college student audience hypnosis show is guaranteed clean and non-offensive. Your students are the real stars of the show! Comedy hypnosis shows are a fun, interactive campus activity. This hilarious program is so funny that I can grab their attention and keep them entertained at any North East Massachusetts campus event. I can perform a clean comedy hypnosis show custom to your Worcester college crowd. Comedy hypnosis shows are a perfect high school entertainment for the Worcester, Massachusetts students. I perform at school assemblies, fundraisers and after school events. My busy seasons are after proms and grad nights. Students become the stars of the comedy hypnotist show. School staff and parents feel at ease knowing that the students are participating in student friendly and safe program. I can help to create memories that last a lifetime. It is a great reward for students at a welcome back orientation; or for any school celebration. No one is ever offended or embarrassed. All comedy hypnosis programs are clean and student friendly. Never worry about embarrassing or offensive material. My comedy stage hypnotist program is safe, appropriate family entertainment. My goal is to insure you receive 100% positive feedback from my show. Comedy Hypnotist • Stage Hypnosis Entertainment • Worcester, MA. Finding a corporate entertainer in Worcester that is fun and appropriate for your guests is hard. I can provide the right entertainment to create lasting memories. Comedy Hypnosis is great for business meetings and training seminars. Make your next event in Worcester a huge success. Looking for an Entertaining Keynote Speaker in Worcester? I can motivate your employees through Comedy Hypnosis. Providing Safe, Clean Fun for your After Prom Event near and Worcester. Never worry about offensive After Prom Entertainment. Make it easier to watch the attendees. Great College Campus Activities Entertainment Programs for clubs and special Interest Groups including Fraternities and Sororities. I am committed to providing Clean Fun for Everyone. Would you like to know more about how Comedy Hypnotist Greg Steele can make your event more memorable?